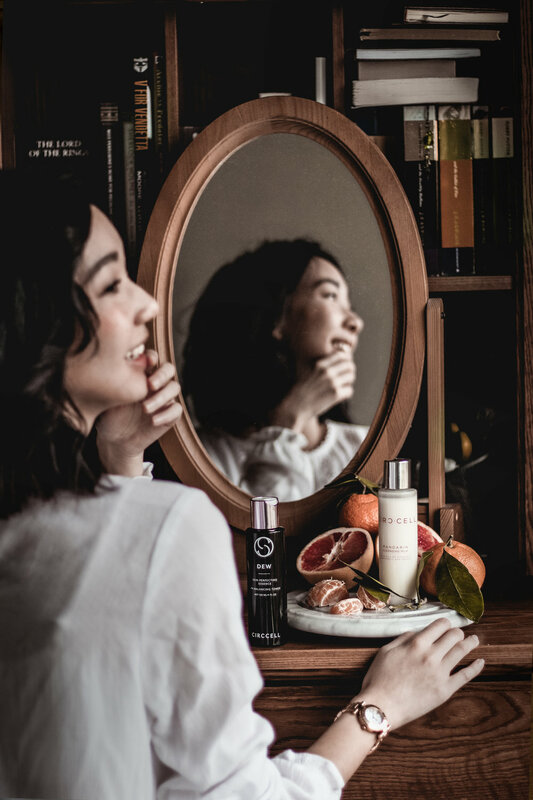 Here's a little photo series made in collaboration with Circcell Skincare! The products they picked for me are perfect for for my skin type and dramatically improved the overall look for my skin! I used to use 3 products to achieve the same results as the Mandarin Cleansing Milk (which smells amazing), and the toner keeps it hydrated without feeling oily. I usually remove my make up with the Mandarin Cleansing Milk, and follow it with the pH Balancing Toner in the morning and night. Also, their products are vegan, cruelty-free, and made in the United States, so you know you're purchasing ethically!